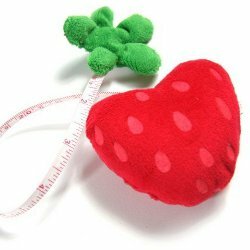 A retractable tape measure shaped like a strawberry makes measuring things just that much more fun. It’s about three inches across with a 60″ tape, and it makes a bright addition to any crocheting bag. 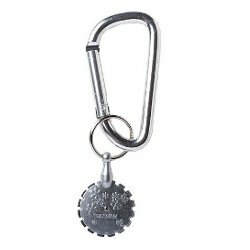 You’ve seen the pendant, now your favorite portable yarn cutter is available on a carabiner for easy clipping to keys, purses, totes, project bags, and more! 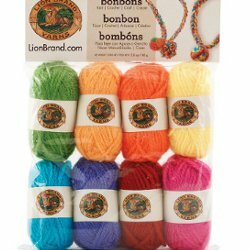 Have you ever been standing in the store, or checking out an online sale, and realized that although the yarn lovely or a steal, you have absolutely no idea how much you should buy for a project you haven’t planned out yet? This little guide can help! 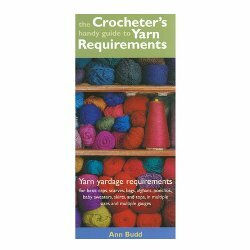 With a list of the specific yardages needed for different types of projects, in various yarn weights, you can figure out how much you should pick up in no time! Not much could be cuter in a stocking than eight mini skeins of yarn in coordinating colors! Eight different color selections are available, in everything from pastels to Christmas colors. 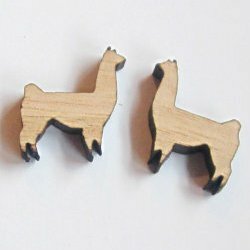 If alpaca is your favorite fiber of choice, why not show it with these cute little wooden alpaca earrings? 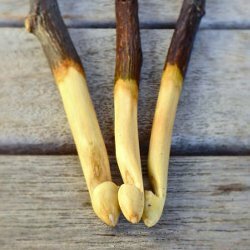 These would make a sweet little stocking stuffer for a fiber enthusiast. Christmas lights are fun! Want to mark your stitches in a cheerful, seasonally appropriate way? 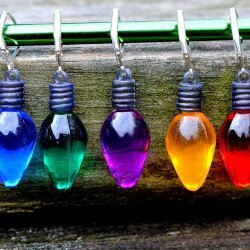 Why not pick up this set of removable stitch markers? 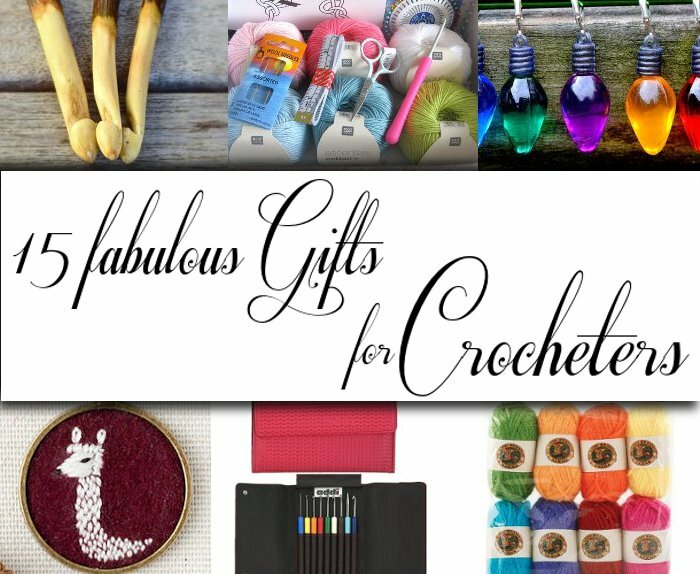 They work for crochet or knitting, so they’re perfect for those who like to dabble in both crafts. Baa! Baa! Two sheep, hanging from your ears. 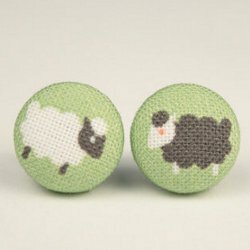 These cute little button earrings are a subtle way to declare your love for all things wool-y and fiber-y. It’s true, you know. 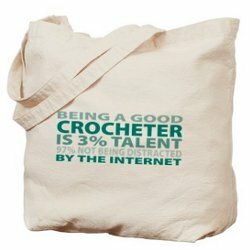 Being a good crocheter is 3% talent and 97% not being – hey, is that a squirrel? 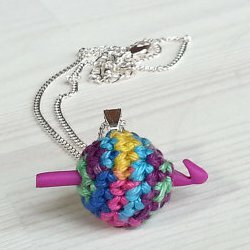 A tiny crocheted ‘yarn ball’ and Fimo hook are incorporated into one adorable pendant that any crocheter would love. 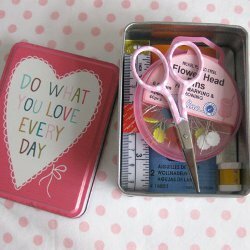 This cute little tin of essential tools – scissors, tape measure, flower-headed pins, darning needles and a row counter – is portable, pocket-sized, and complete with a positive message. What’s not to love? For the crocheter who’s one-of-a-kind, pick up a set of three unique, handmade hooks. These are available in sizes G-M, in a variety of woods, so choose your favorite! 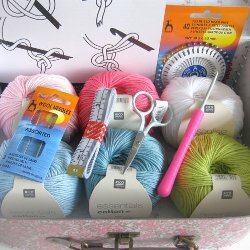 Although there’s no reason you have to be a beginner to enjoy this sweet little crocheting kit, it does include a ‘learn to crochet’ booklet along with six balls of Rico Essentials Cotton DK, a 3.5mm soft touch crochet hook, a pair of scissors, a tape measure, 2 wool needles, and some pearl-headed pins, all in a pretty vintage floral style case. 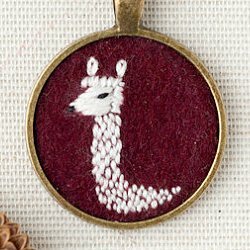 This sweet alpaca pendant is hand-embroidered on burgundy wool felt with gold-plated findings. No two are the same, so if this one has sold by the time you check it out, be sure to visit the KnitKnit shop for other hand embroidered jewelry. 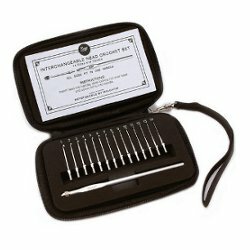 Give the gift of quality tools! 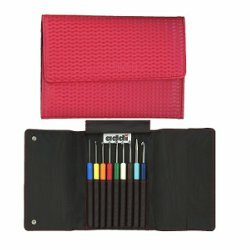 Each kit contains nine color coded comfort-grip hooks, from 2mm to 6mm, inside a pretty folding storage case.